Hey hey hey!!! I am so excited to talk about this topic because it is knowledge you can use for a life time and share with your little muffins! As an makeup artist I use many brushes on a daily basis on myself and on my clients. They are used to apply creams, liquids, powders, glitter and so much more. About 85% of the ladies I work with have NEVER cleaned their makeup brushes. NEVER never never! The reason her face was itching was because she hadn't washed her makeup brushes since she bought them....2 months ago! She thought she didn't have to wash them - sound familiar? Just by properly cleaning and caring for your makeup brush you can save hundreds of dollars. And if your like me you like to save $$$. Face itches only when applying product. Wrong color shows up on skin. This is due to colors are mixing together. Products apply streaky. This is due to build up on brush. So when should I clean my makeup brushes? I thought you would never ask. 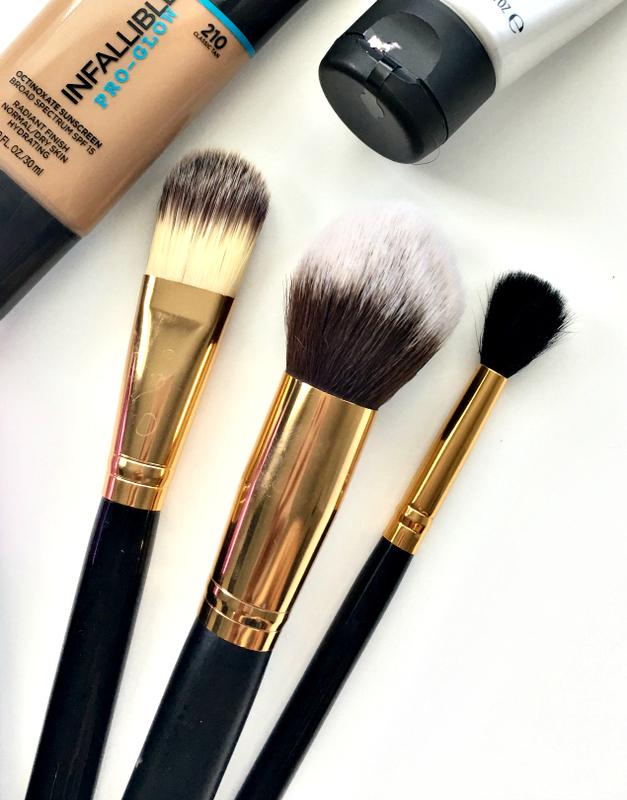 When it comes to cleaning your makeup brush there are two different ways you can do so. Spot Clean- If you wear a full face of makeup daily a spot clean should be done daily for best brush maintenance. A spot clean usually consist of using a spray cleaner and paper towel. It is great for cleaning eye shadow brushes and preventing the wrong colors applying to the skin. For example, if you are creating a smoky eye, you should not use the same brush to apply lighter shades. Keep an additional brush close by to prevent a muddy look. Deep Clean- A deep clean should be done weekly or bi-weekly depending on often you wear makeup. A deep clean will consist of using water, brush shampoo, and massaging the bristles to get the product that has sunk to the bottom. Now that you know the signs of when to clean your brushes and two different ways to do so, it is time to learn about the AMAZING top 3 makeup brush cleaners. Strong smell. Only 5 -10 seconds. Best high end deep brush cleaner. Best low end deep brush cleaner. I have also listed my back brush cleaners below. They are great but require more product to clean brushes. Remember to Be Unique, Be You!